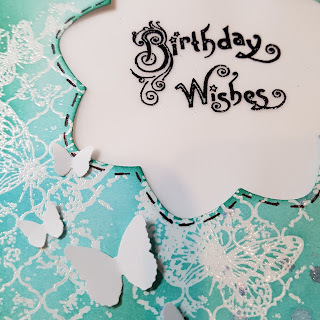 Today on my blog i show you how to create this simple Birthday Card which looks like you have put a lot of work and effort into it. 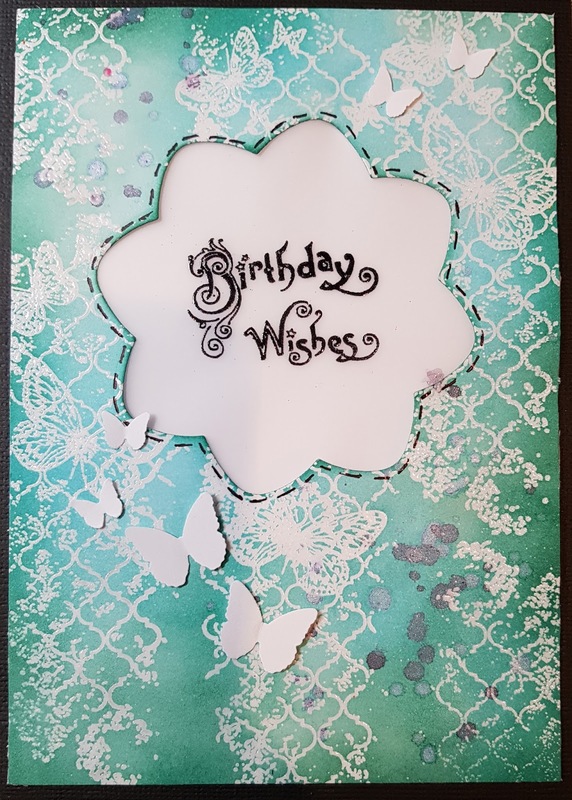 Finally adhering vellum to the back of the card so that you can see the greeting in the centre and doing some faux stitching with black marker around the centre window. Adding some foam adhesive to the back of my card and attaching it onto the black cardstock (in the video i have started with white card stock, however ended up changing in and adding black border afterwords!). Then adhering the whole thing onto a white card base which measures 7 inches x 10 inches and scored in half at 5 inch mark to create a fold. Adding some splatters with Shimmerz inks and White Butterflies punch out of white cardstock and voila! 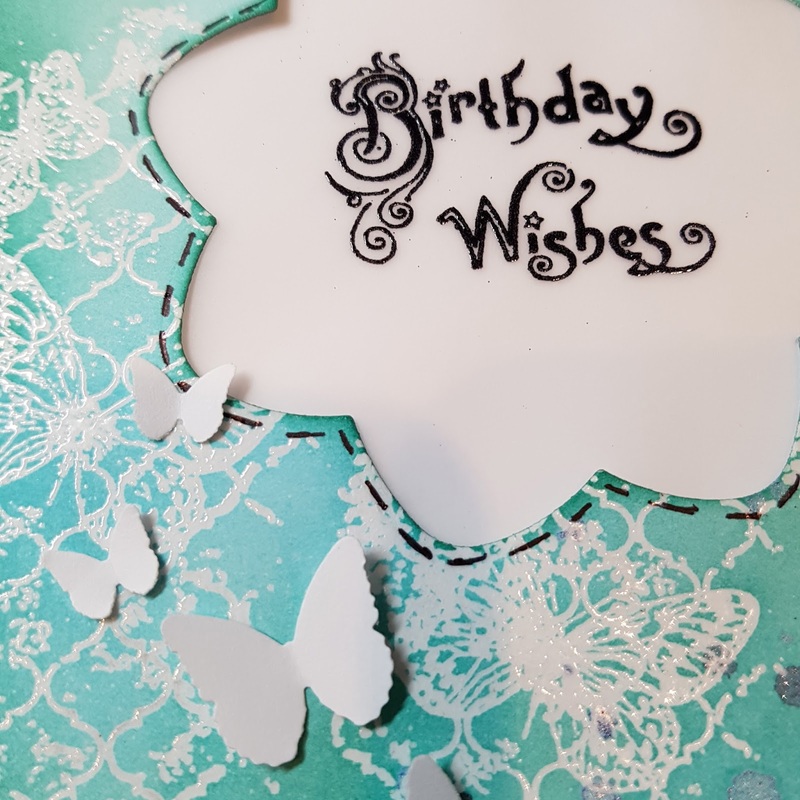 your card is done - nice and simple! Check out my video below and subscribe to my channel and blog for more video tutorials and processes.